Like the G-8, the G-20 is harnessing the expertise and ingenuity of the private sector to help improve global food security. On Monday (June 18), the group officially launched AgResults, which will reward private sector actors that can develop products and services addressing some of the pressing challenges in food security and agriculture and ensure uptake of these innovative agricultural technologies. The United Kingdom is among several donors of AgResults, which has so far pooled $100 million. Other sponsors are Australia, Canada, Italy, the United States, and the Bill & Melinda Gates Foundation. The World Bank will administer the funds but a dedicated secretariat to be supplied by “an appropriately qualified organization” will manage the implementation of the program, according to AgResults’ concept note. The program will launch a series of pilot projects, and for the first round, it will support pilots that incentivize the adoption of on-farm storage technology for small-holder farmers, encourage innovative distribution of a breakthrough technology to reduce aflatoxin contamination, and build a market for new vitamin A-enhanced varieties of maize. An announcement on the selected projects is expected to be made before the year ends. 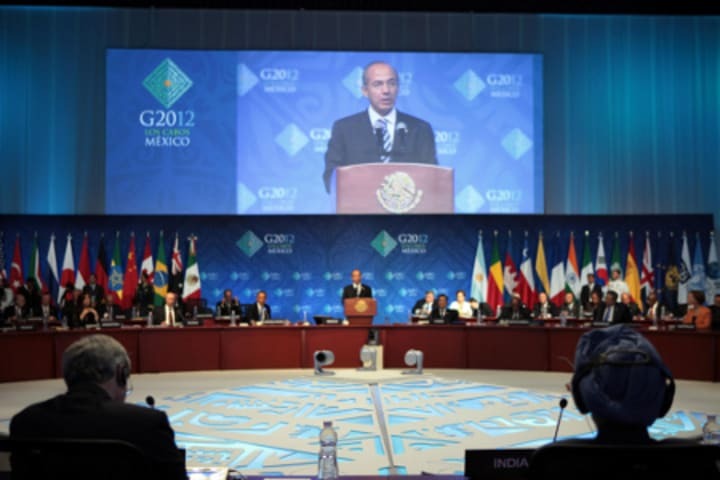 The G-20 is currently in Los Cabos, Mexico, for its seventh leaders’ summit. Eliza Villarino currently manages one of today’s leading publications on humanitarian aid, global health and international development, the weekly GDB. At Devex, she has helped grow a global newsroom, with talented journalists from major development hubs such as Washington, D.C, London and Brussels. She regularly writes about innovations in global development.